To play Reef Run, one of the new online slots game, you need to be prepared to get wet! This underwater slot game takes you under the waves to go and see what lies beneath. 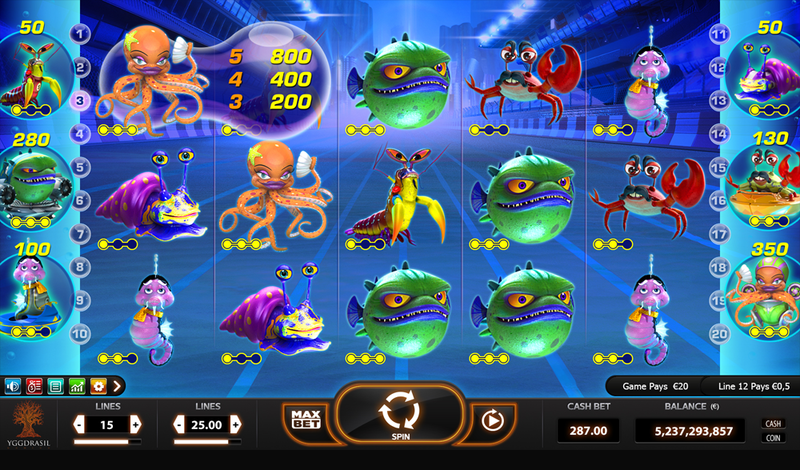 You’ll meet some really fishy characters down amongst the reefs, and though they might not look that friendly, they want to help you spin your way to a win. So, take a deep breath and dive down to the underwater city in the reefs! Get the best out of our play slots with bonuses before you play the game! Slotsbaby has a wide array of games by Reef Run for you to play! 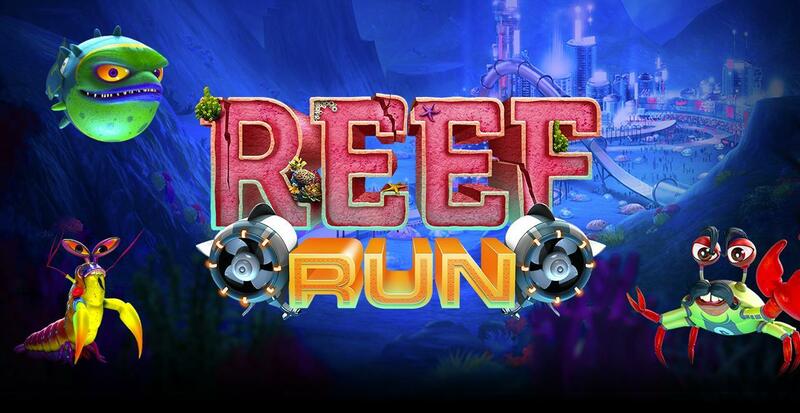 Reef Run is from the developers at Yggdrasil Gaming, a team of developers who are known for their love and passion for gaming. They are a highly innovative company who continually push the boundaries with their games. As a result, they are a firm favourite with regular gamers, who always keep returning to their large catalogue of games. Like Reef Run? Why not try Valley of the Gods or Beauty and the Beast next time? 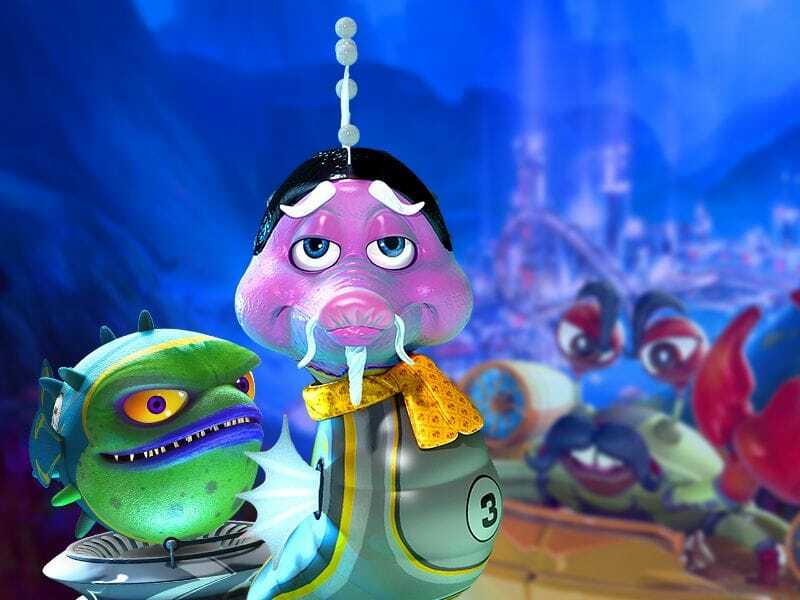 There’s a lot going on in this fishy casino slot game, but the highlight has to be the amazing graphics. Each of the symbols on the reels is 3D and looks exceptional. You can’t actually see the reels or the game board as they are transparent – so it’s just the symbols themselves right in front of the underwater scene. There are five reels and twenty pay lines to play with. Once you enter the deep blue sea, you will be met by a large gang of sea creatures. You’ll meet crabs, hermit crabs, and octopus, and some fish. These are all the symbols on the reels. Each of the character symbols has their very own personality, and you will get to know them very well throughout the game. There are also some bonus symbols that you should take some notice of as they can help you win a lot more. FREE SPINS FEATURE – You won’t be able to miss the Free Spins symbol – it’s a large open-mouthed clam with the words “free spins” in between its shells. You need to land three of these on the board to activate the Free Spins feature. Three of the symbols on the board give you ten free spins. Four clams will grant you twenty freebies while five gets you an exciting sixty free spins. If you land an extra clam symbol during a free spin, you will win an extra two free goes. You might also benefit from a few multipliers during each free spin.